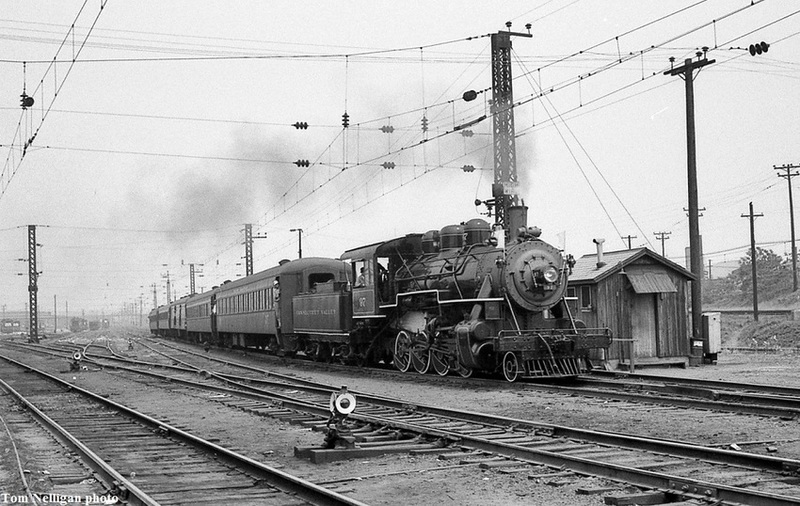 In 1967-1968, the group that would become the Valley Railroad ran a series of fantrips on the New Haven using privately owned 2-8-0 97, now a mainstay of the VRR roster. Here the 97 and its train roll through Cedar Hill Yard in New Haven on a Hartford-New Haven-Devon-Waterbury-Hartford circle trip. Photographed by Tom Nelligan, June 11, 1967. Added to the photo archive by Tom Nelligan, February 5, 2019.